I'm feeling pretty sorry for myself today guys... it's raining outside, I've got a cold, my Mac is water-damaged so I'm having to use a PC (!!!) and I broke my little toe breaking the fall of a bottle of Pinot Grigio. That, and I'm reminiscing about two weeks ago, sitting in Bruges with coffee and waffles. Oh, and LOTS of beer! Last week I gave a beer lover's 'low-down' on drinking your way around Bruges; the Venice of the north. This week I've compiled a list of 6 of my favourite beers from my visit so you can keep a look out for them in Bruges/ Belgium/ at home and in great beer bars/pubs across the continent. First up, my favourite, from one of Bruges two city breweries. Brugse Zot is the 6% flagship beer from Bruges old brewery, De Halve Maan, slap bang in the heart of the pretty little city, right next to the monastery. This beer is best enjoyed AT the brewery, straight from the tank as it is unfiltered and still has a lot of residual yeastiness (breadiness) and feels cleaner and crisper. Elsewhere, it's still a brilliant, characterful lagered Saison which pours a hazy straw colour. Aromas of orange peel, cloves, green apple (acetaldehyde) lead to a oily mouthfeel and tastes of spice, more apples, citrus and a powerful hop character which cuts through the beer. 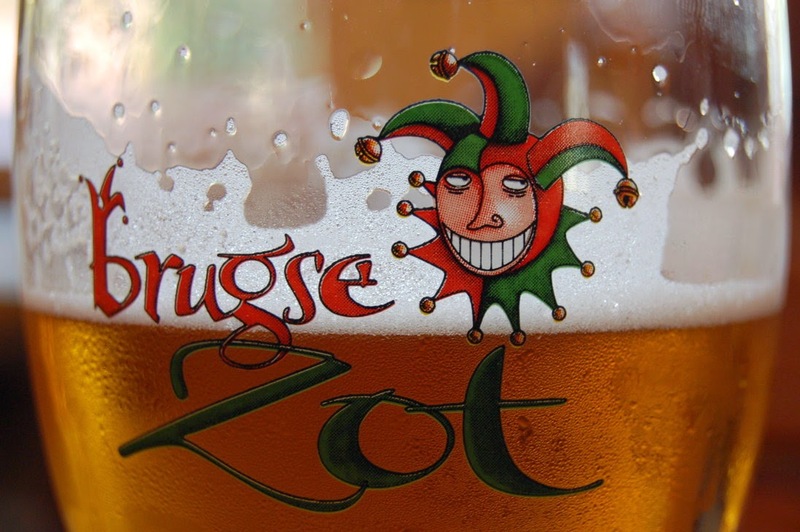 Buy Brugse Zot from Beers of Europe for £2.09 per bottle or £48.72 per 24. The court is out on the next beer; apparently it's a bit of a Marmite, but I like Marmite (although I'm more of a Bovril kind of guy). 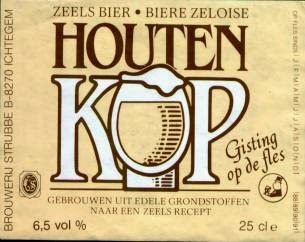 Houten Kop is a 6.5% clear amber beer, with a retentive lacing head and medium body. What sold me on the beer is a little subtle aniseed, balanced well with sour cider apples and a 'Marmite' yeastiness. Perhaps the most iconic proper Belgian beer (there'll be no mention of Stella Artois in this blog, I can tell you!) 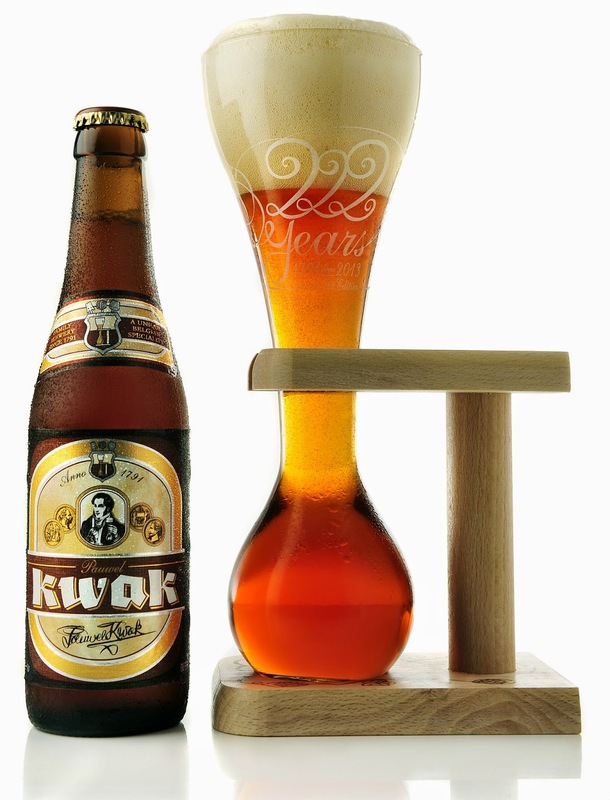 is Pauwel Kwak, with its brilliant glass, from the acclaimed Bosteels brewery in East Flanders. This is quite a sweet beer with an 8.4% abv. The taste is dried fruits and molasses which finishes with a body of malt and a little alcohol. Pauwel Kwak is available from Beers of Europe for £2.69 per bottle of £62.64 per 24. Hopus Primeur 2013 from Lefebvre is a brilliantly hoppy (if the name didn't give it away) Belgian-style IPA. It's a strong blonde beer with 6 different hops. The addition of Citra hops dominates, with lots of grassy citrus fruit and a dry, dry finish with a little sweetness on the palate. This ticks all the boxes for me, with aromas and tastes that include: Tonic Water, Grapefruit, Pepper, Orange Zest, Grass, Cloves, Dandelions (Yes! Dandelions), Lychee, Peach & Wheat. Fantastic! Buy Hopus Primeur from Beer Merchants at £3.25 per bottle. Last, but definitely not least, Rodenbach Grand Cru. This is an excellent Flanders-style Red Ale, blended from 1/3 fresh young beer and 2/3 beer aged for 2 years in Oak casks. The oak-aged beer lends a complexity and sourness to the beer, unsurpassed in anything else I tried. This won't be a beer for everyone, but if you can find it, it is a beer of legend. You are lucky to drink it, whether you enjoy it or not! Its hazy-mahogony colour is intriguing to look at, and its aroma of sour cherries and bread is inviting. Find it, chill it down and enjoy in small tasting glasses with friends. 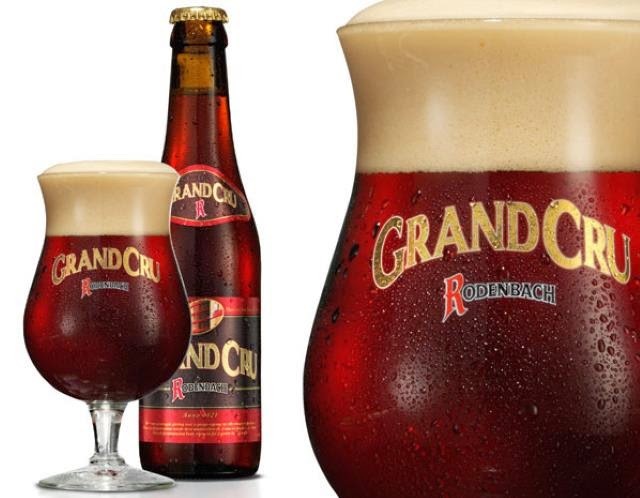 Buy Rodenbach Grand Cru from Beers of Europe for £2.59 per bottle of £60.24 for 24 bottles. Most of the beers above are available on my favourite Belgian beer site Beers of Europe. Enjoy! How Higher Living Teas Made Me EXCITED About Tea! What Does Wild Bullace Liqueur Taste Like?